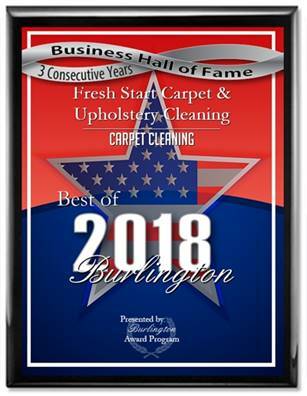 Professional carpet cleaning by Fresh Start Carpet Cleaning is your best choice to professionally deep clean your carpet and remove pet odors, pet stains, bacteria, pet hair and body oils that build up over time. Our fast drying truck mounted steam cleaning process will quickly restore the color and beauty back to your rugs. Our trained technicians know how to handle the most complex spotting and carpet cleaning techniques set down by the Institution of Cleaning and Restoration Certification. Fresh Start Carpet Cleaning has been in the customer satisfaction business for over 18 years. We’re a family owned, veteran owned company that takes personal pride in each one of the services that we perform and we stand by our work. Our prices are the most reasonable in our service area. Carpet, cleaning packages start as low as 99.00.